I am fortunate enough to travel a lot for work and pleasure, but the downside to this seemingly glamorous gig is waiting around in airports. It’s boring, there’s often little to no WIFI, the food options are limited and you’re stuck with hundreds of fellow humans who also don’t want to be there. 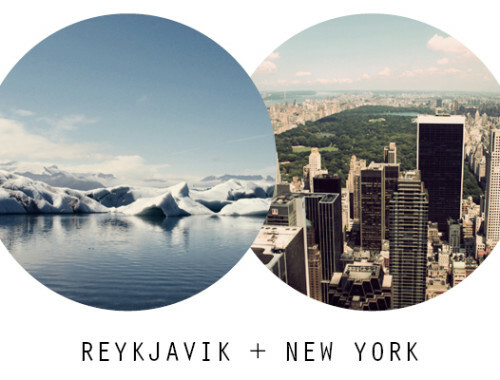 So what can make your layover at the airport more bearable? Lounge access! 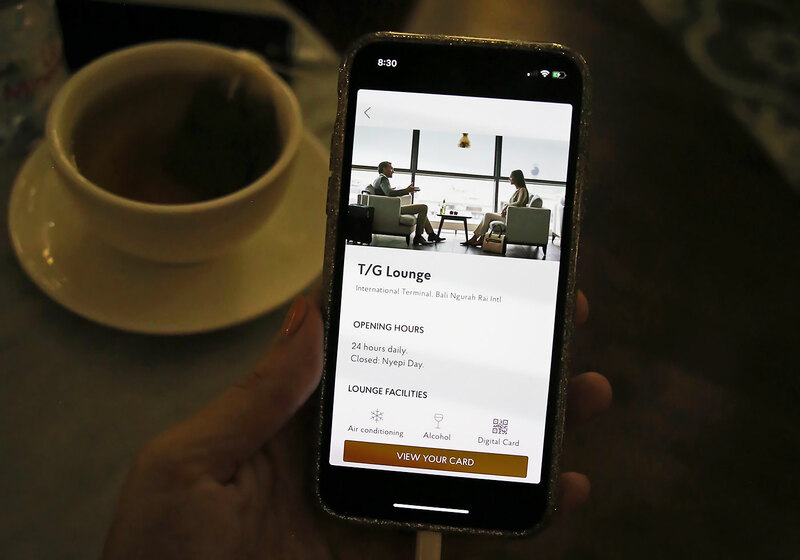 Lounges offer a sanctuary away from the hustle and bustle of the airport, along with complimentary snacks and drinks, internet access and a place to catch up on some work and charge your phone. Unfortunately I don’t fly enough with the same airline to have the frequent flyer status for annual lounge entry, and sometimes I can’t justify paying $50 for a few hours of access. Enter Priority Pass. You simply sign up for a membership with them and suddenly you can access airport lounges in over 500 cities and 130 countries worldwide! 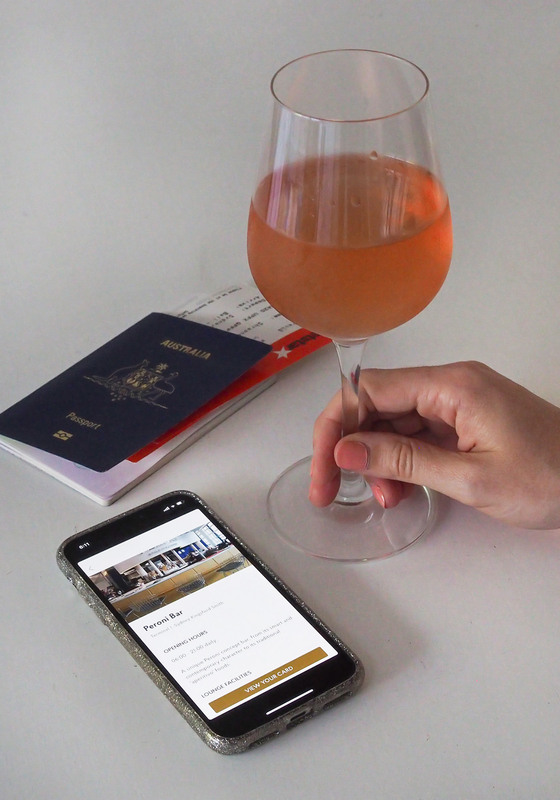 And the best part is, you are not restricted to the lounge of the airline you’re flying, you can use any lounge that Priority Pass has an agreement with (which is over 1,000 lounges worldwide). 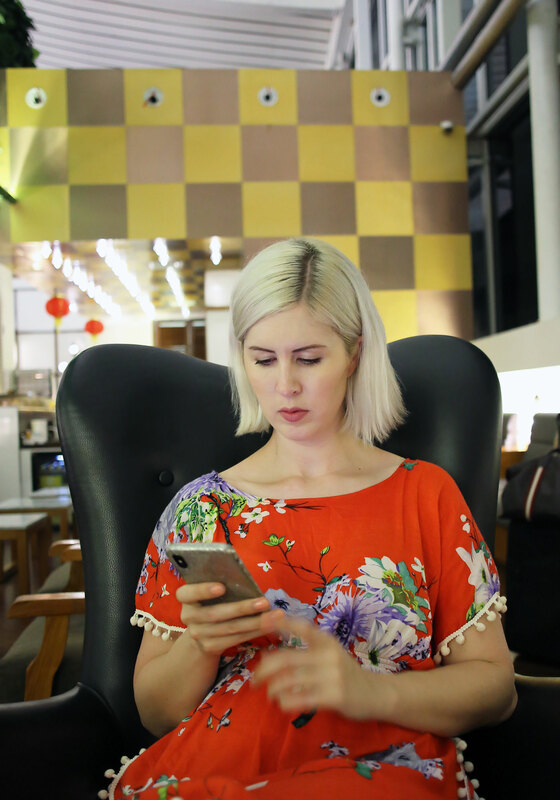 I signed up for Priority Pass just before I left for my Bali holiday and got to try it out at both Sydney and Denpasar Airports. 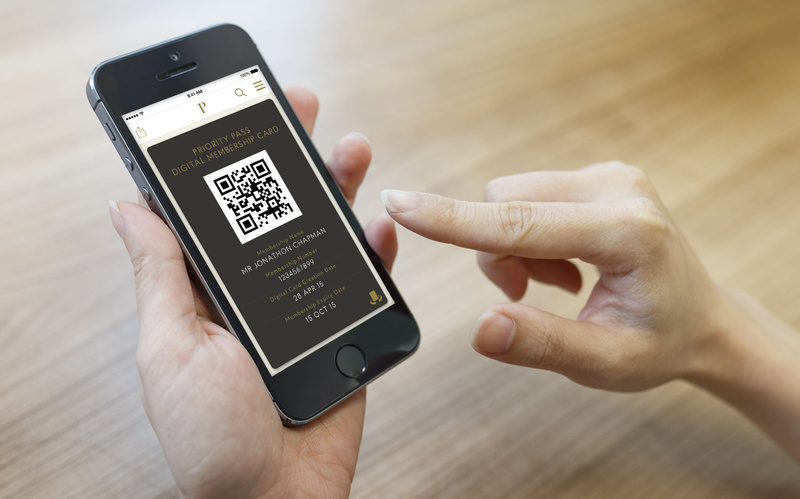 Fortunately my physical card arrived the day I left, but it doesn’t matter if you don’t receive it in time as they have a Digital Membership Card option included in the app which you can use to check in at the lounge via your phone. 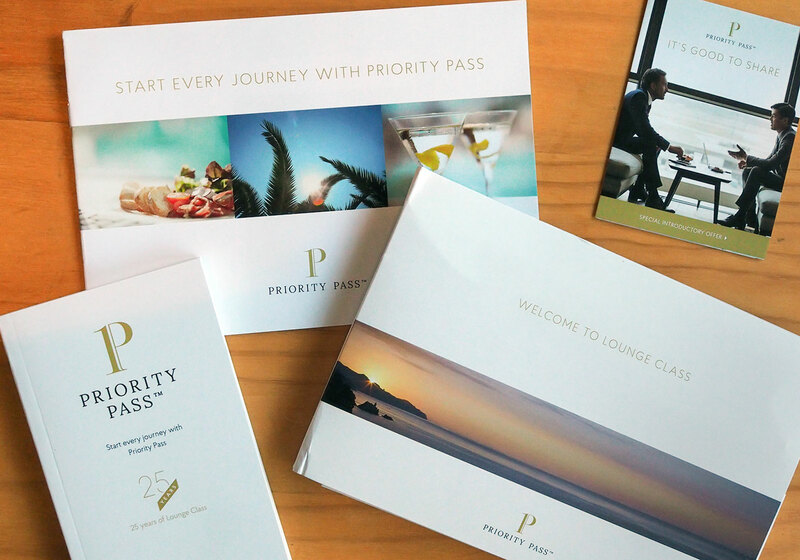 Priority Pass offers 3 types of memberships, depending on how often you travel and your budget. 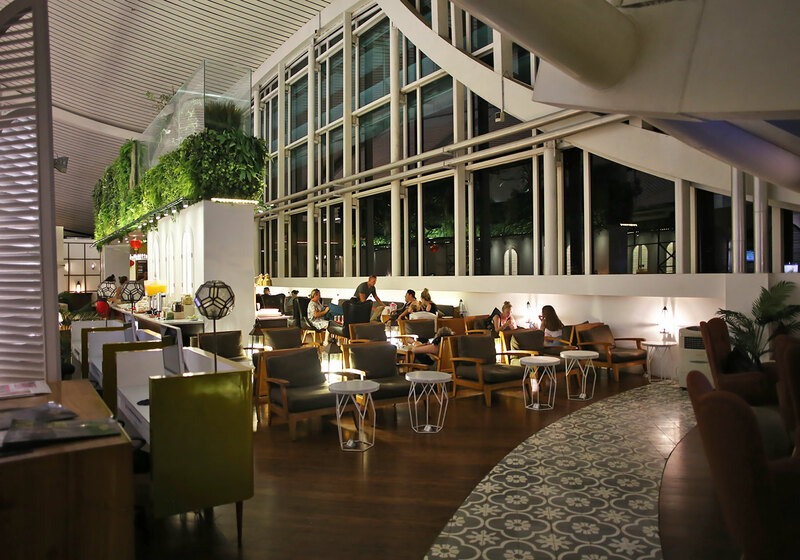 The Standard (US$99) pass means you can visit any lounge in the PP network for US$27 per person. The Standard Plus (US$249) comes with 10 free visits annually and the Prestige (US$399) gives the member unlimited free access to the Priority Pass network for a year. And don’t worry if you’re travelling with a friend or partner, they can access the lounge for just US$27 with you on all the membership options. 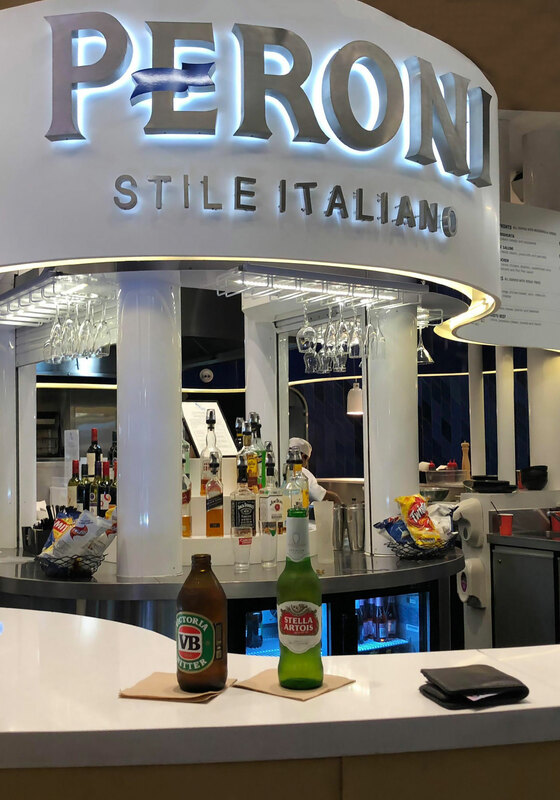 As an example, without Priority Pass, to access the Plaza Premium Lounge at Brisbane airport you would have to pay at the door AUD60 for 2 hours and AUD70 for 5 hours per person. Yikes! I ended up selecting the Standard Plus option as I know I will want to access around 10 lounges this year with my upcoming trips. 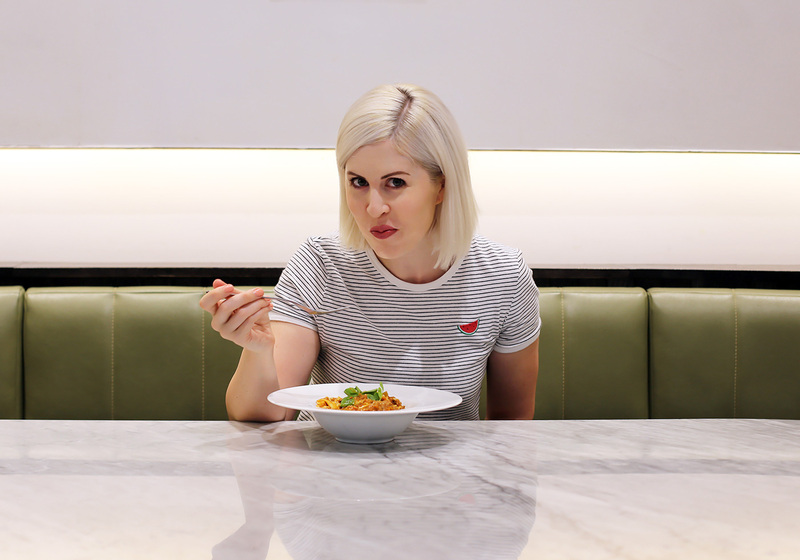 Things work a little different at Sydney Airport, and Priority Pass has partnered up with a range of restaurants to offer you money off your food and drink bill. 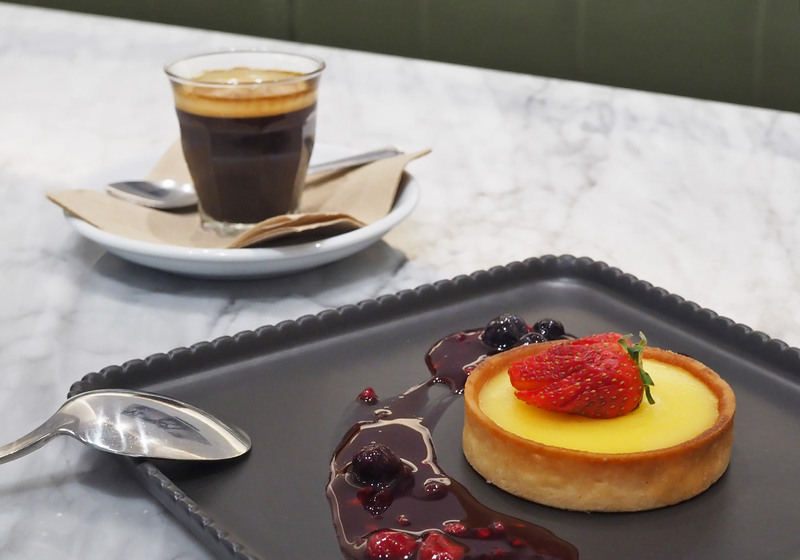 Cardholders can use their lounge visit entitlement to receive AUD$36 off the bill. 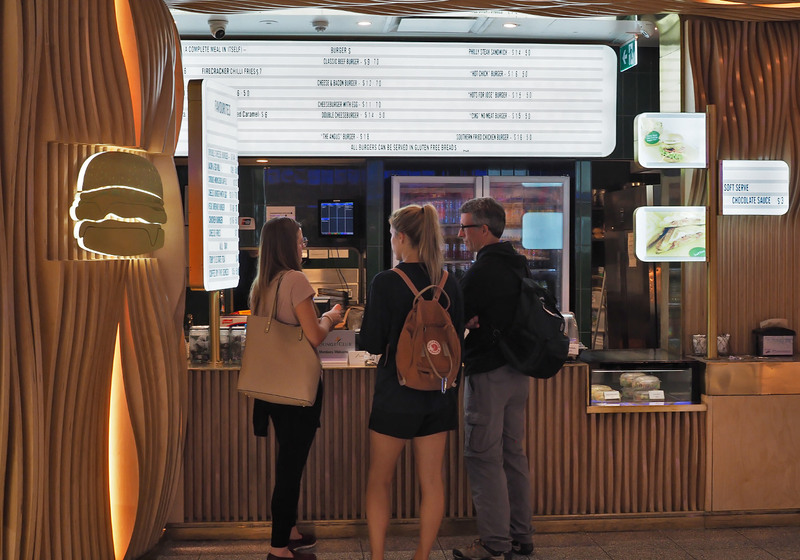 Each AUD$36 deduction represents a single lounge visit, and if a Cardholder registers 1 Guest they will receive AUD$72 off their total bill which will be charged as 1 Cardholder visit + 1 Guest visit on their account. I hate plane food and will always eat at the airport wherever possible. 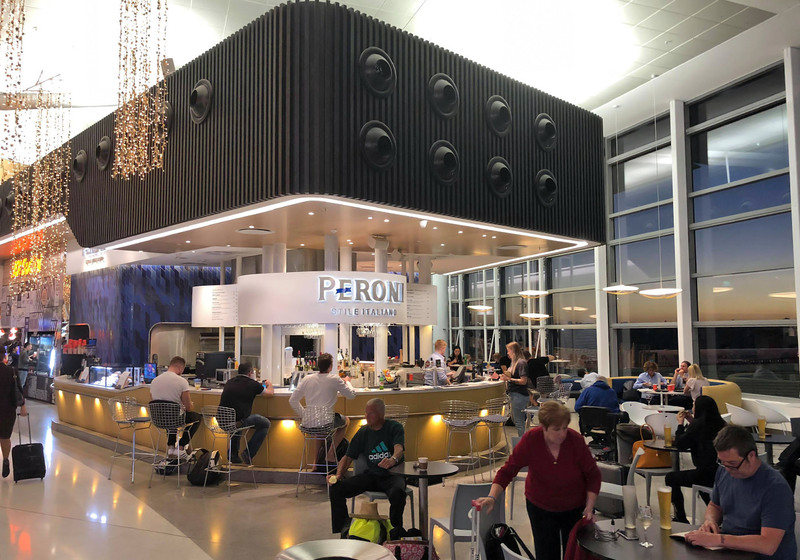 Fortunately the Sydney International Airport dining options have really stepped up their game recently, and PP members can dine at Mach2, Better Burger and Peroni Bar. There are also 4 dining partners in the domestic terminals. We started our feast at Mach2, which is the offshoot of the iconic Sydney restaurant “Machiavelli”. 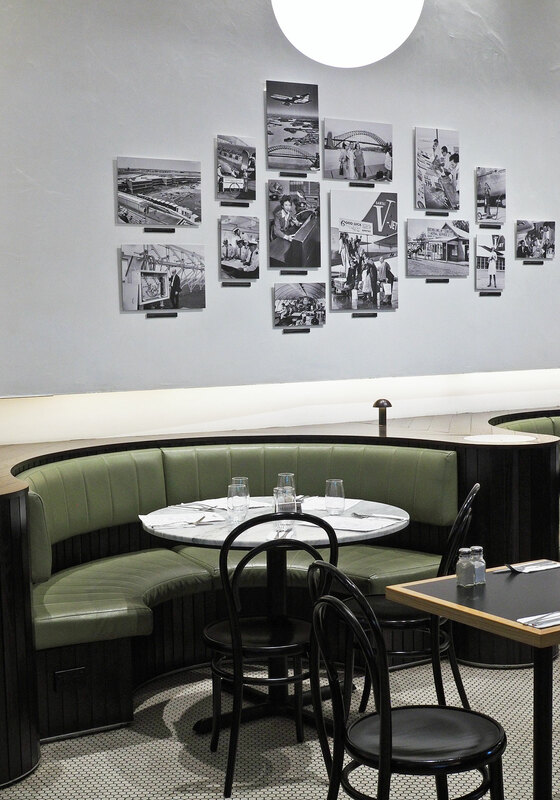 This Italian eatery is located landside, which means it’s before customs. So don’t forget to factor that into your timing and give yourself sufficient time to clear security and customs before your flight. Upon arrival at Mach2 they scanned my digital Priority Pass Q code on my phone and soon enough we were ready to order up a storm. We started with the pappardelle pasta, which is handmade every day and came covered in a 12 hour slow braised ragu. 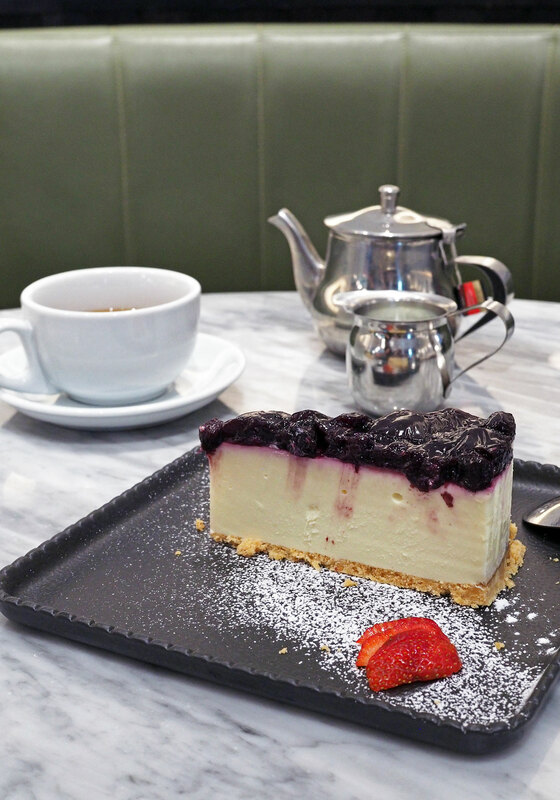 We also ordered the cheese plate, a lemon tart and blueberry cheesecake. We washed everything down with a cup of tea and an espresso. 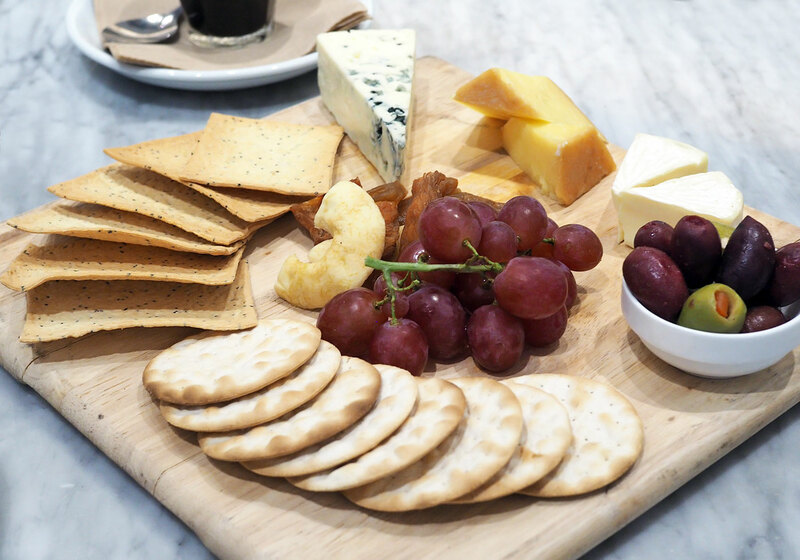 It’s great to see the standard of airport food has gotten so much better, no longer are you stuck with a slightly stale sandwich, you can enjoy an incredible meal. 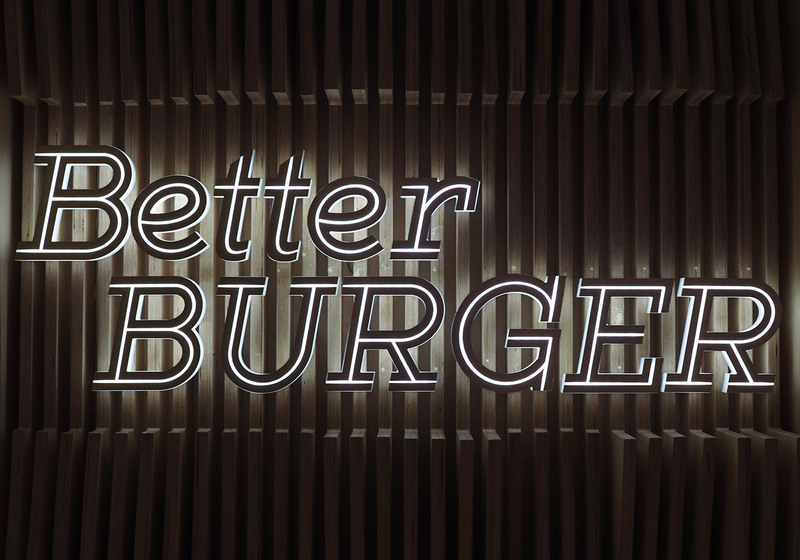 We passed through Customs and Security and headed to our next destination, Better Burger. 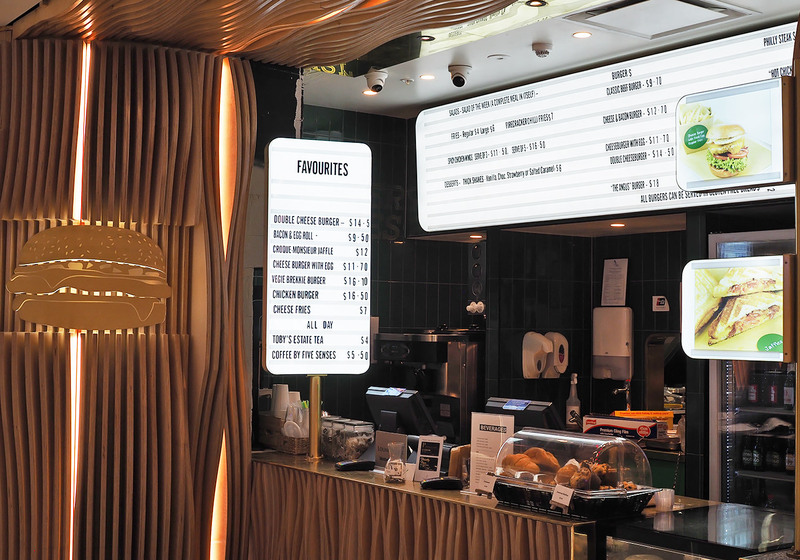 The gourmet burgers here are designed by Shannon Bennett, one of Australia’s leading chefs from the award-winning Melbourne restaurant Vue de Monde. 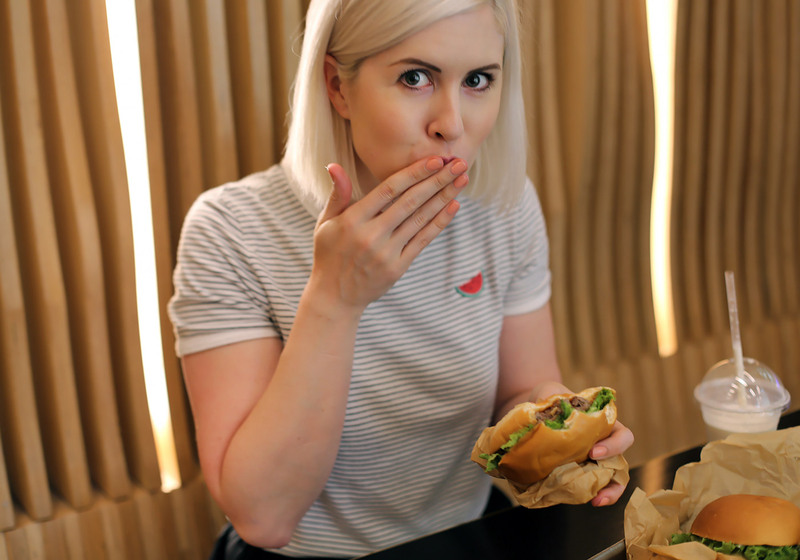 Better Burger uses organic produce in all their dishes and only employs sustainable practices. This is fast food done fancy. We ordered the double cheeseburger, cheese fries and a salted caramel milkshake. 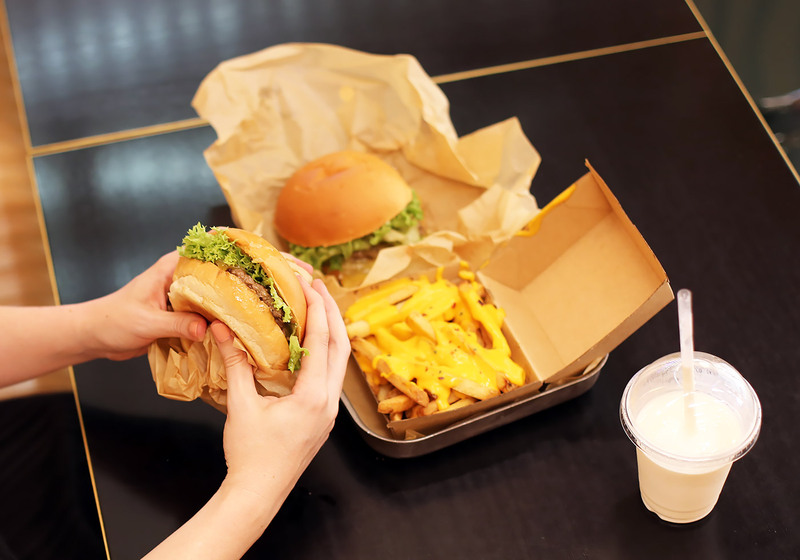 Everything was freshly made to order and delicious, especially the juicy and flavoursome cheeseburger. By this stage we were stuffed silly, and decided a drink was in order at our last stop, Peroni Bar. 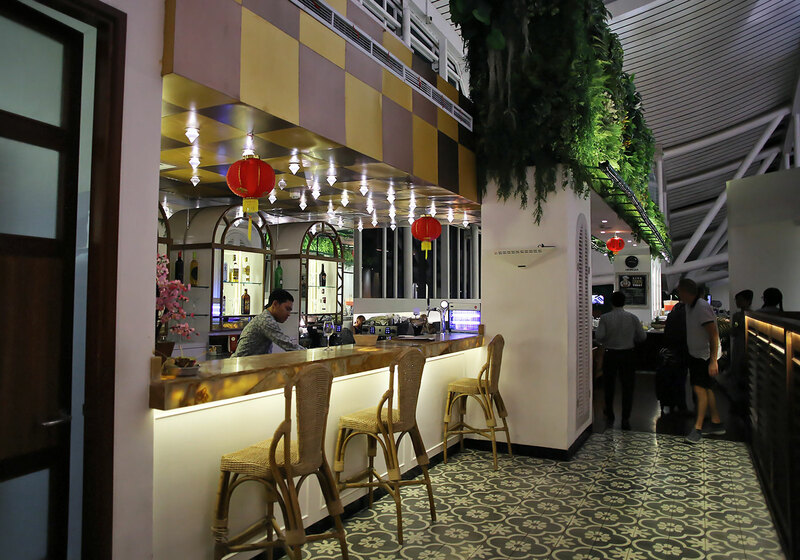 This bar is located near gate 56 and is a great place to watch the planes come and go whilst enjoying a drink and its traditional ‘aperitivo’ foods. 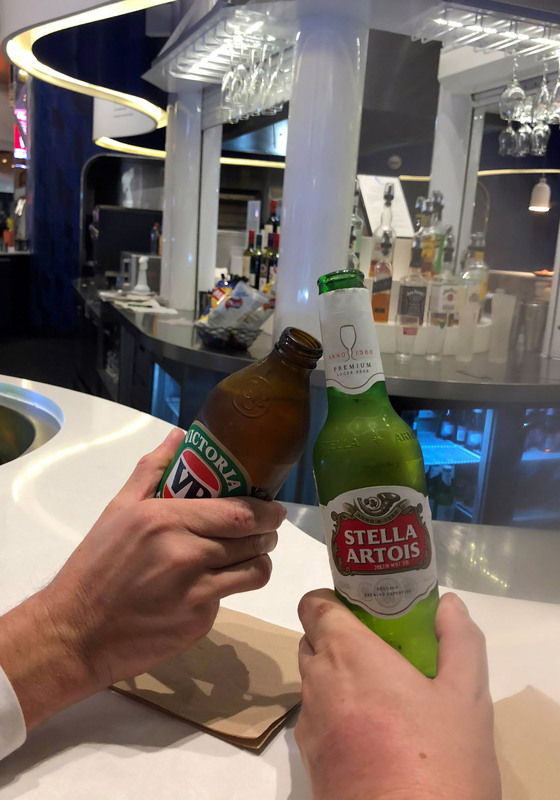 Grab an ice cold beer on tap or a glass of Italian wine to unwind before your flight and get your holiday started early! 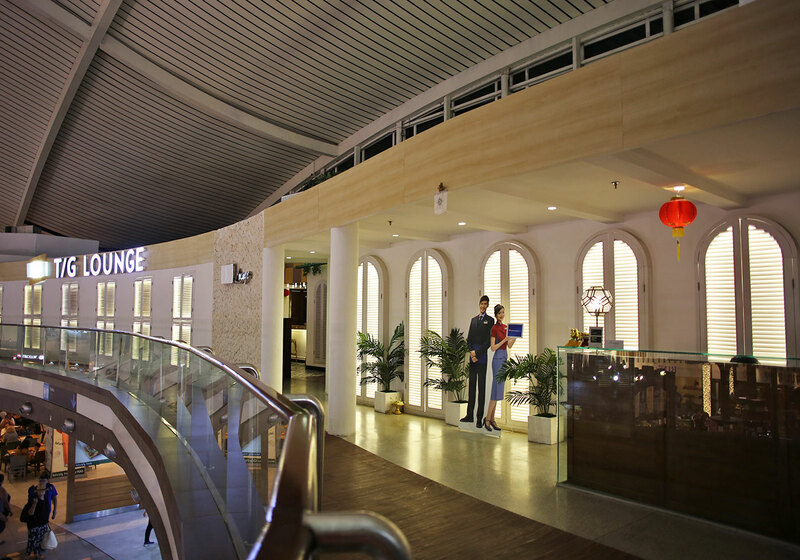 On the way home we decided to check in to the T/G Lounge at Denpasar Airport in Bali as we had a few hours to kill. The airport was busy and hot, and the chance to escape this was most welcome. Our check in at the front counter was a smooth and quick process and we were shown to a table with comfy seats. Our waiter offered us drinks (we each received a beer or wine with our entry) and we were given the WIFI login instructions. It was a great place to charge our phones (every table had a power point), enjoy a drink and catch up on some work. The food in the bain maries was replaced regularly, it wasn’t the best in terms of variety or flavour, but it was good for a simple meal. 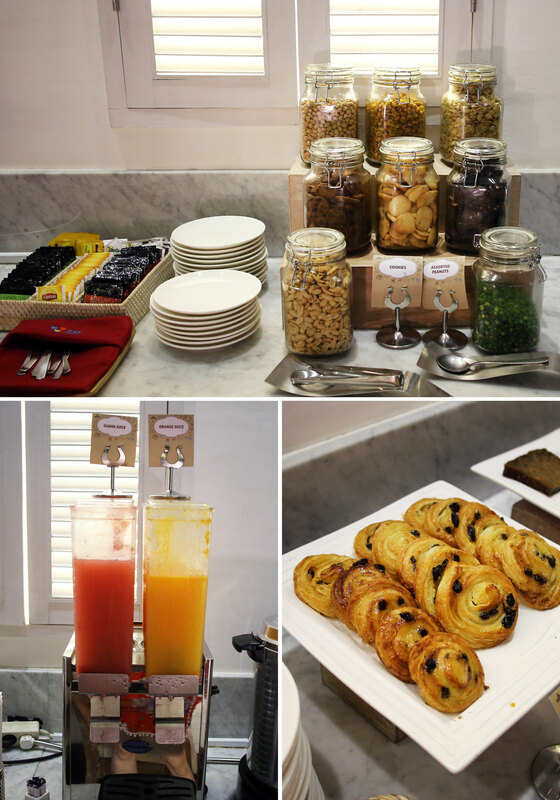 There is also complimentary tea and coffee on hand, computers you can use, and televisions to watch. 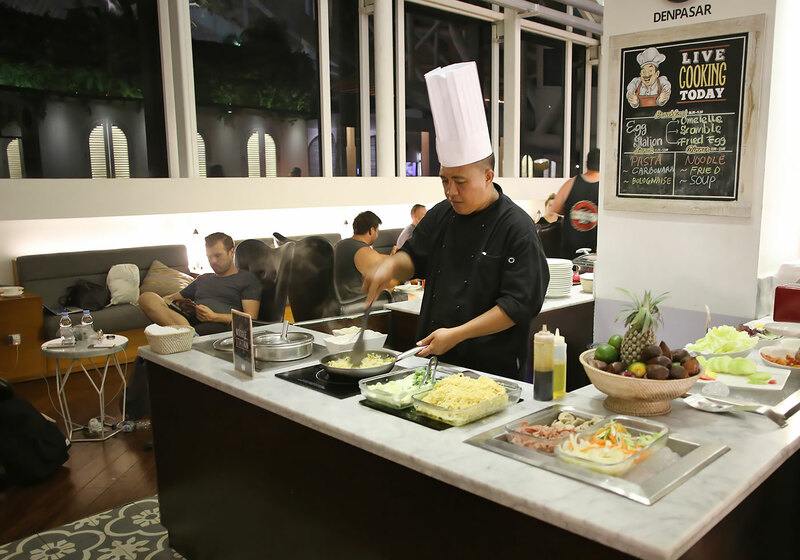 There is a chef cooking food to order in the lounge – eggs for breakfast, pasta for lunch and noodles for dinner. The lounge access also includes a complimentary 15 minute leg massage which is great for those weary feet. 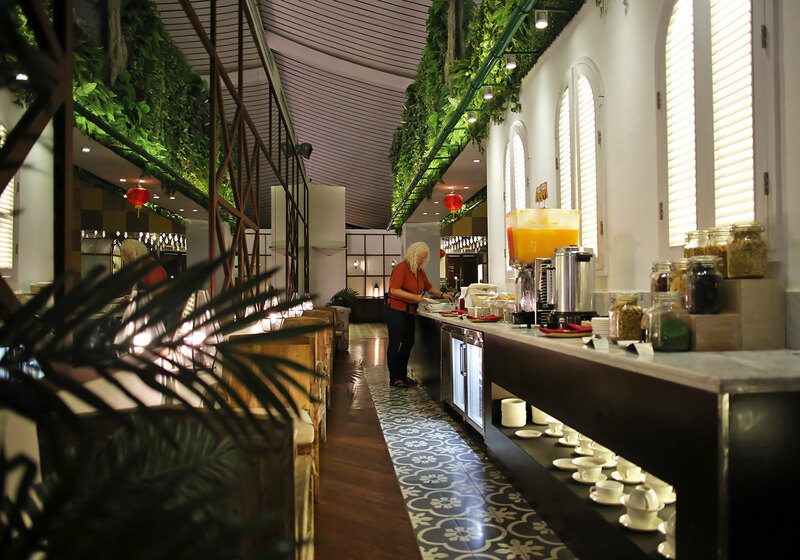 My favourite aspect of the lounge was the shower facilities, our flight was late at night and after a day of roaming around in the Bali humidity, a shower was exactly what we needed to freshen up before our flight. 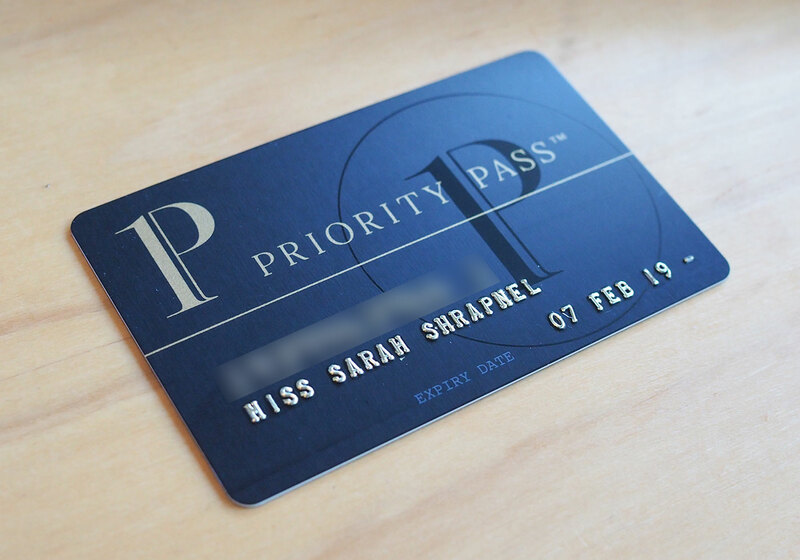 Overall I thoroughly enjoyed using Priority Pass and I am actually looking forward to arriving early at the airport to enjoy more lounges around the world. I’m off on another trip in a few days and look forward to using it again! 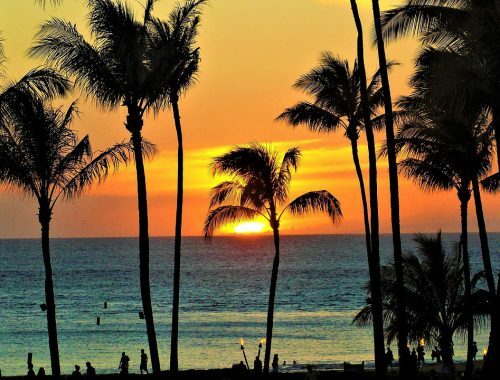 This post was created in collaboration with Priority Pass. As always, thoughts and opinions are my own. 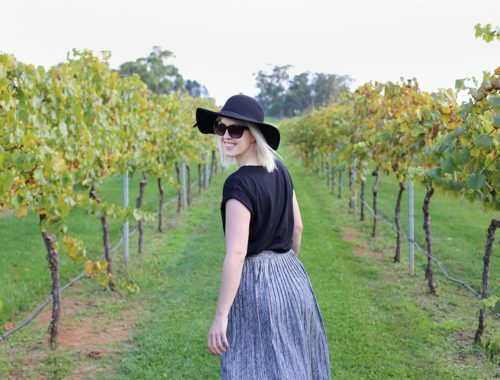 Thanks for supporting the brands that allow me to create content for you! Hii Swah! I am a regular reader of your blogs, You are amazing with your writing, God bless you and keep sharing.